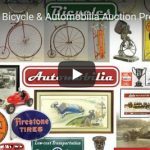 Local Attractions / Activities – COPAKE AUCTION INC.
Local Attractions, Activities, Arts etc. Columbia County’s oldest community theater organization preforming at the Ghent Playhouse. Season runs from October to June. The happiest place to be! Acclaimed professional theatre; classic and contemporary musicals, unique theatre-in-the-round setting. Talented professional performers, wonderful singing, dazzling dancing, exciting fun for all ages! May through September. Showcasing new work by local performing artists. CCCA is a service organization that produces programs that advance the arts in our area, provides services that support our county’s cultural organizations, artists’ and residetns’ participation in the arts and build collaborative partnerships with business, educational,cultural and governmental entities. Omi is a not-for-profit residency program for international visual artists, writers, musicians and dancers as well as the site for The Fields Sculpture Park, a year round public exhibition space for contemporary sculpture. Omi is situated on 300 acres of rolling farmland with spectacular views of the Catskills and the river valley. A multi-arts center housed in a restored 1847 landmark building. Presenting music and spoken word performances, art exhibitions, and free community arts programs including KidsArt, music jams, and the annual Festival of Books. TSL’s programming spotlights the powerful role of the arts in awakening individual imaginations and fostering community participation. Offering live theater, film, opera and workshops and special enrichment projects for youth. A multi-arts center and New York State’s oldest surviving theatre, offering more than 800 programs annually for people of all ages, including concerts, readings, lectures, exhibitions, after-school programs, workshops and large-scale community events like Winter Walk. Stageworks produces adventurous professional theater productions and programs. Plays are for everyone – they illuminate the human experience and profoundly serve as a global stage for social exchange and enrichment. The Theater Barn is “Professional Theater in the Country” from mid-June through late September. Our diverse season includes large and small musicals, mysteries and comedies. Performances Thursdays – Sundays. Church’s beautiful home overlooking the Hudson River. A Persian masterpiece of architecture and landscaping. The Boston Symphony Orchestra’s summer academy for advanced musical study.